In our previous blog, we talk about how to use our eyes to close every sale. Over 84 techniques were shared in our courses How to Close Every Sale and Sales Power, today we will dwell on one tactic: Using Nothingness. Nothingness is not to be confused with Nothing. Nothingness is also not the same as Emptiness. Nothingness is nothingness, nothing more or nothing less. This concept of Nothingness is from Lao Zi’s Dao De Qing book 道德经. Lao Zi is an ancient Chinese philosopher who lived in China 2,500 years ago. His philosophies share much in common with India’s Siddhartha Gotama (or The Buddha) and Greece’s Socrates. These wise men lived around the same time but far away from each other. The fact that they can say the same thing proves that this concept is universal, it has nothing to do with Eastern or Western. 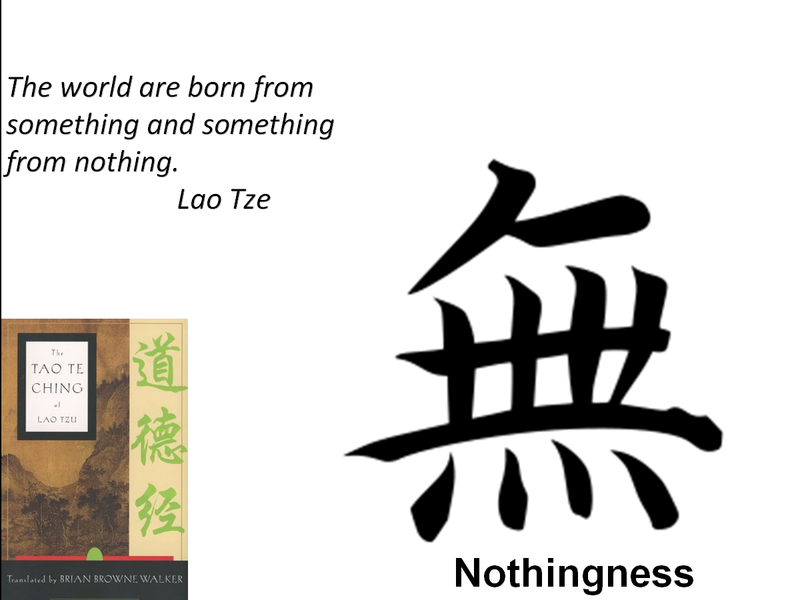 Nothingness or 无 is defined as the state of being nothing, the state of non-existence of anything, or the property of having nothing. It simply means that there is no inherent meaning in anything in this world. Everything that we see, hear, feel or understand to be something in this world is actually our own perception. If we perceive something to be good, we will prove it right with our thoughts, speech and behavior. But if you were to examine it further you’ll realize that such something is actually nothing. For example, in the current hazy weather, people find the haze unbearable. But this haze is actually nothing because to the businessmen that created the haze by burning forests indiscriminately, this haze is a profitable venture and definitely desirable, not unbearable. How do we apply this concept of nothingness in our business? Today I will just talk about sales. When your prospect gives you an objection and he did so in a negative manner, like being sarcastic or critical, most salespeople will act in one way - react. If you understand the concept of nothingness, you will know that such an objection is nothing in nature. It does not mean anything negative or positive. So it is up to you to make it something, like he does not like us or he is just testing us. The nothingness concept means that you stop thinking about your prospect the wrong way. Stop conceiving of him as being something that is bad from his side, and start thinking of him as an nothing screen. What you see in him is just your projection of him, the projector is your own mind, driven by electricity called imprints from what you have experienced before. The point is not to judge anything as good or bad, not to attach to any of your own feelings or emotions. In short, see things and see people what they are, and you will have wisdom. If you see the objection as what it really is - an objection and nothing else, you will be wise enough to handle it objectively. You will not react negatively to him, instead you will respond positively to such a neutral or nothing event. This is what we call seeing things as nothing, and you can certainly use nothingness concept to sell the impossible. Good luck! Andy Ng (MBA CPA) is a Business Coach and Trainer with over 28 years of professional experience. He is currently leading a team of businesspeople in a billion-dollar global e-commerce business. Contact him at www.asiatrainers.com today!